For me, it’s the quaint charm of a city’s historic area that always lures me in. Sure, I enjoy checking out modern buildings and big skyscrapers, but there’s something about the old part of a city that I prefer. The same held true when I spent a few days in Quebec City. 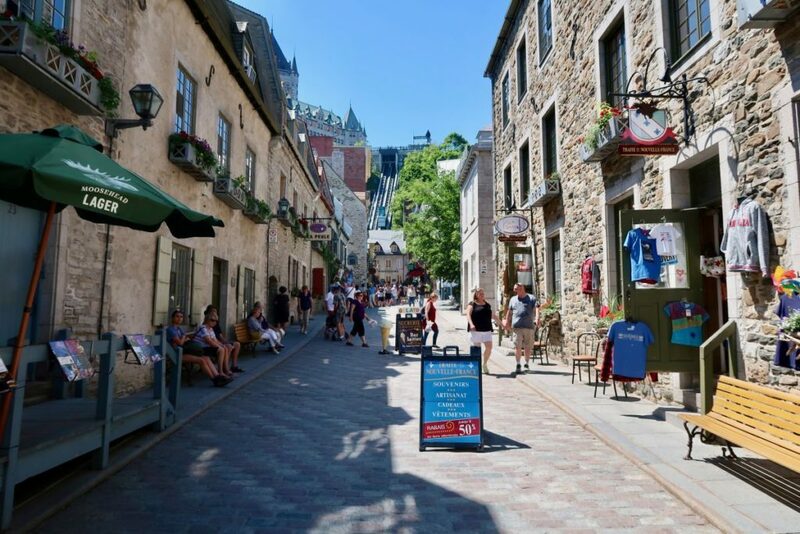 While the outskirts were beautiful in their own right, it was Old Quebec City that I fell in love with. 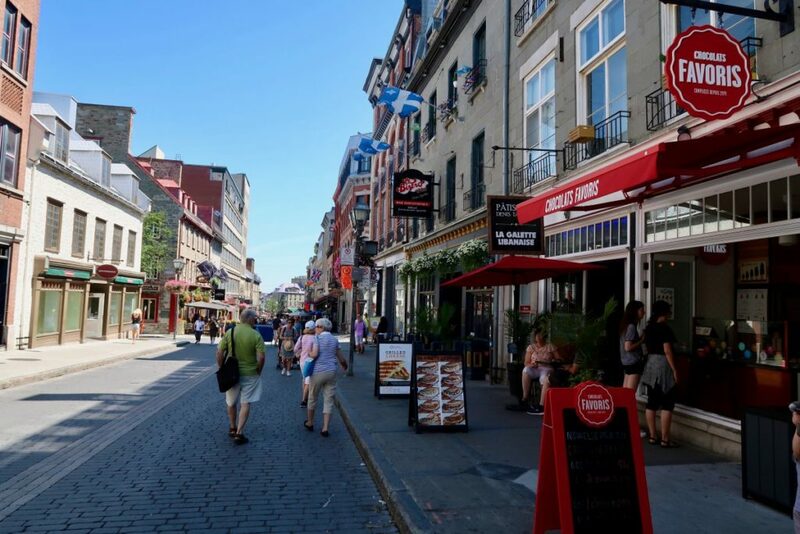 If you’ve never been before, I would say it’s like Montreal’s little sister: plenty to see, do, and eat, but on a much smaller scale. 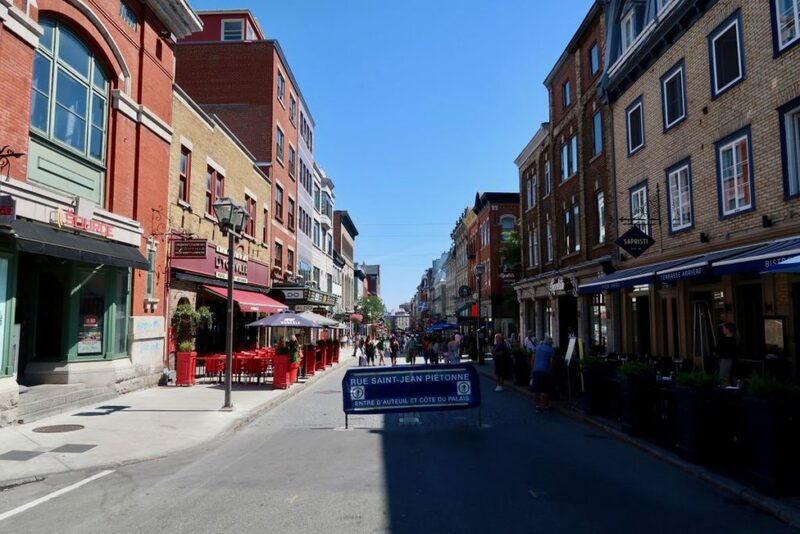 There are many roads around Old Quebec City that have been sectioned off as pedestrian only. 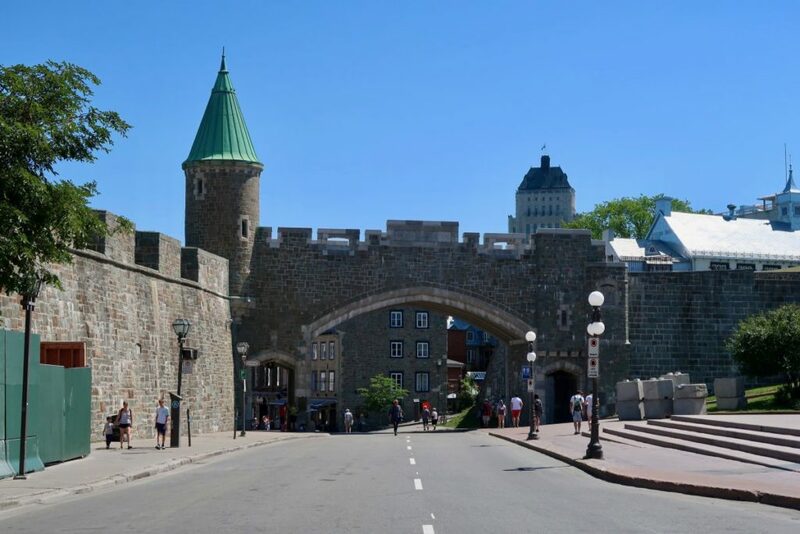 If you’re heading into Old Quebec City from the west end, then you’ll likely be passing through Porte Saint-Jean (the old city walls that you can actually walk on top of). 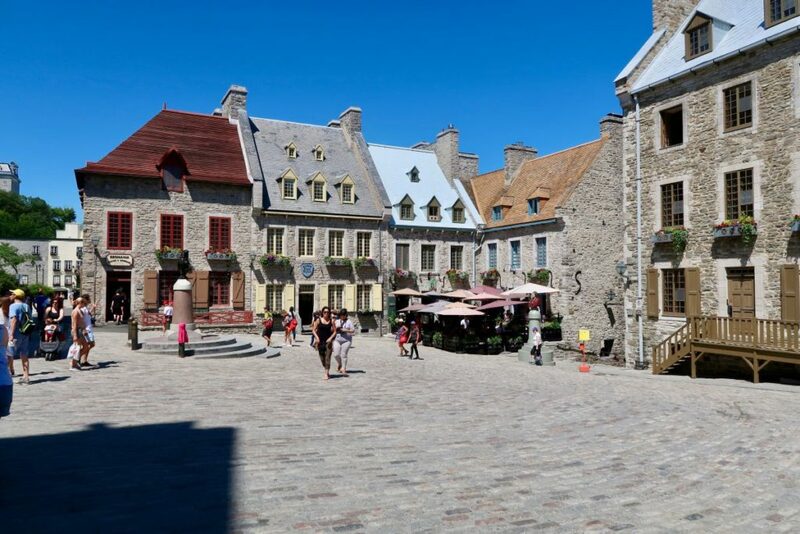 Just beyond the city wall is where you’ll find one of the main walking streets on Rue Saint-Jean. 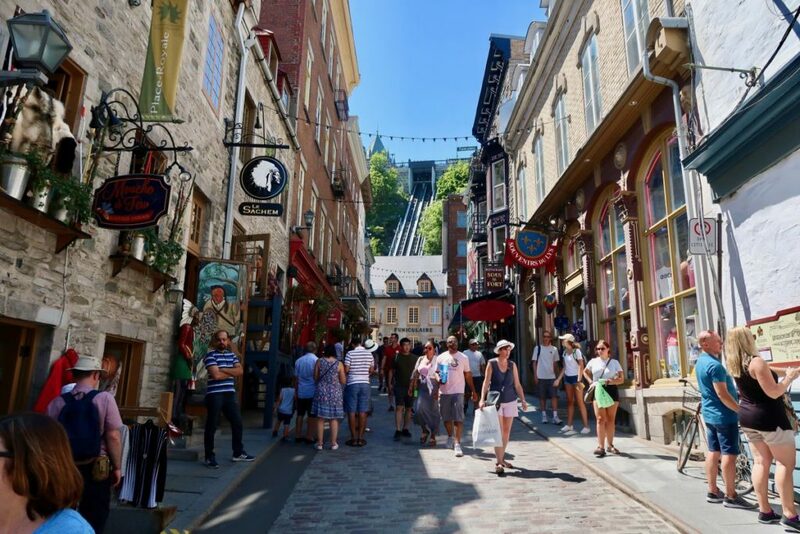 Although this is technically Old Quebec City, you’ll find quite a few modern stores here, like Aldo, David’s Tea, and eventually a McDonald’s. You’re also likely to see buskers performing along this street and just outside of the city wall. Because this is a more popular area, prices at restaurants are also quite a bit higher. We had dinner on our first night at Pub St. Alexandre, and a burger and fries was around $25. I’d suggest to avoid eating a meal here and just opt for drinks with a side of people-watching. 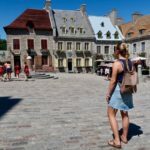 My best advice for exploring Old Quebec City is to just spend the day wandering around and getting lost among the cobblestone streets. 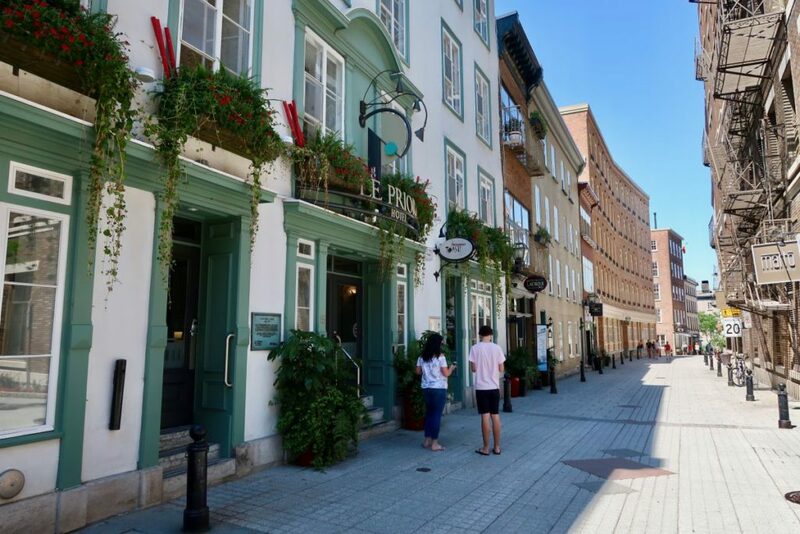 Rue Dalhousie is a main street that runs along the water on the eastern part of Quebec City. 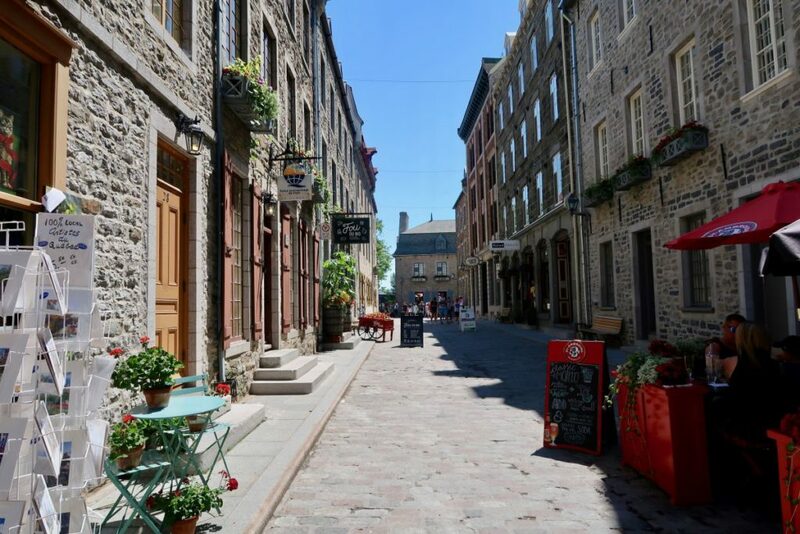 A lot of the streets that come off Rue Dalhousie are pedestrian-only and are insanely cute. 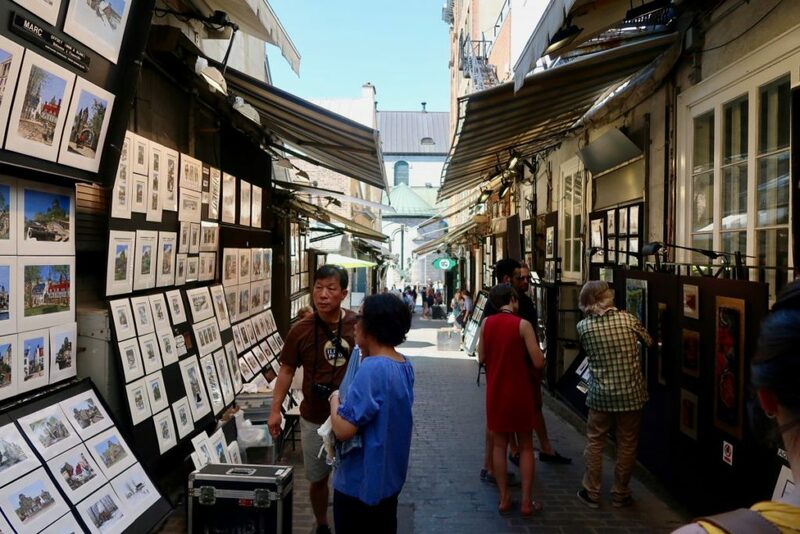 Although many are geared towards tourists, with various souvenir shops and the like, you’ll find many art galleries around Rue du Sault-au-Matelot if you’re interested in purchasing some local art. One of the most well-known landmarks of Quebec City is Chateau Frontenac. 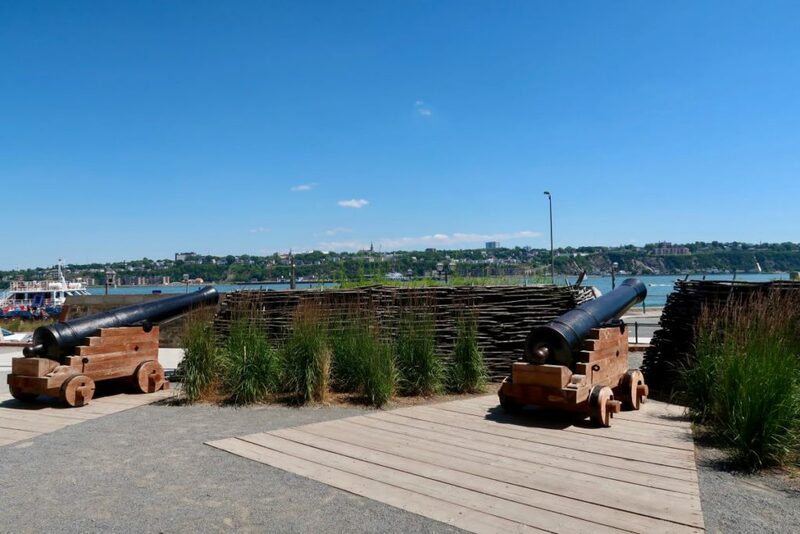 This historic hotel is a massive tourist attraction, so it’s no surprise that the streets surrounding Chateau Frontenac are filled with boutique shops, bistros with patio seating, and a whole lot of history. 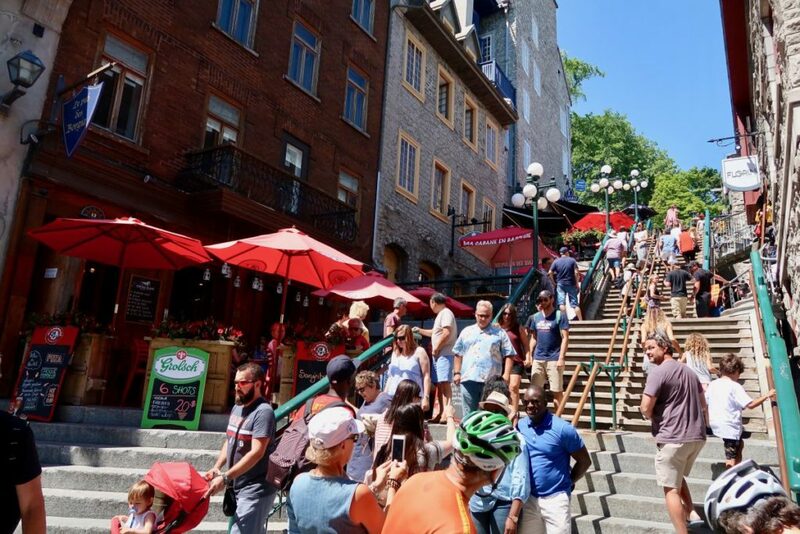 These are the stairs you can take to get up to Chateau Frontenac. Or, just pop into one of the patios along the steps for a pint and some fantastic people-watching. Place RoyaleThis picture was taken at Place Royal. There are shops surrounding the open area and at the far end you’ll see two busts: one of King Louis XIV and another of an Aboriginal individual. The two heads are staring directly at each other, making for an interesting and political interpretation. 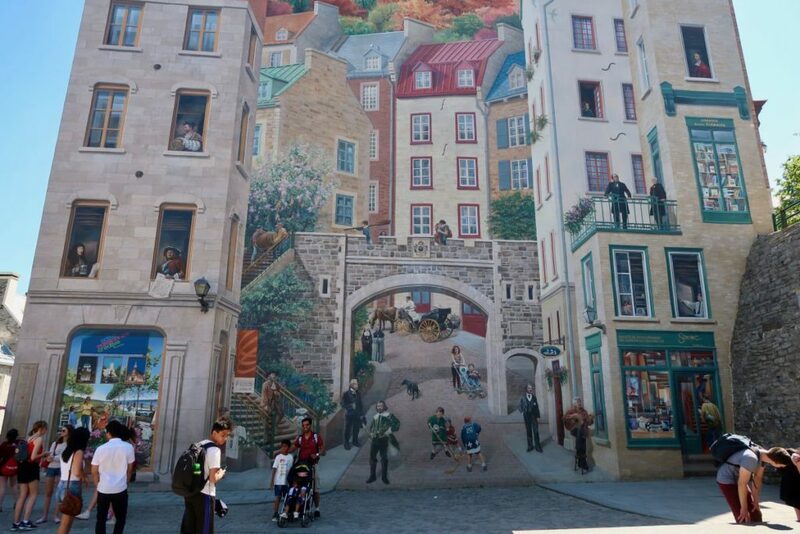 This mural depicts the story of Quebec City, with its important historical figures and how the city was built. There’s one more mural at the bottom of Breakneck Steps that shows the progression of the waterfront neighbourhood of Cap-Blanc. Both are beautiful paintings and you can read about what is happening in each of them on a descriptive plaque. The Artist Alley was a lot smaller than I had originally imagined, but the artwork is almost all original and the majority of it depicts different areas and important buildings in Quebec City. One thing I really liked was that, in most cases, the artist was selling his own work and was able to answer any questions you might have. Prices were around $10 for a small 4×7 original. 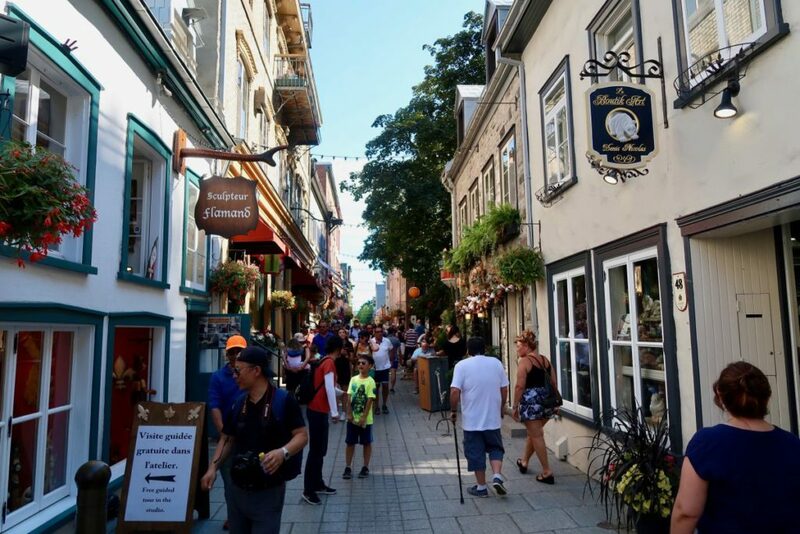 I really loved the Lower Town of Old Quebec City. I found the narrow cobblestone streets and colourful buildings to be beautiful, and felt the area had a unique personality. 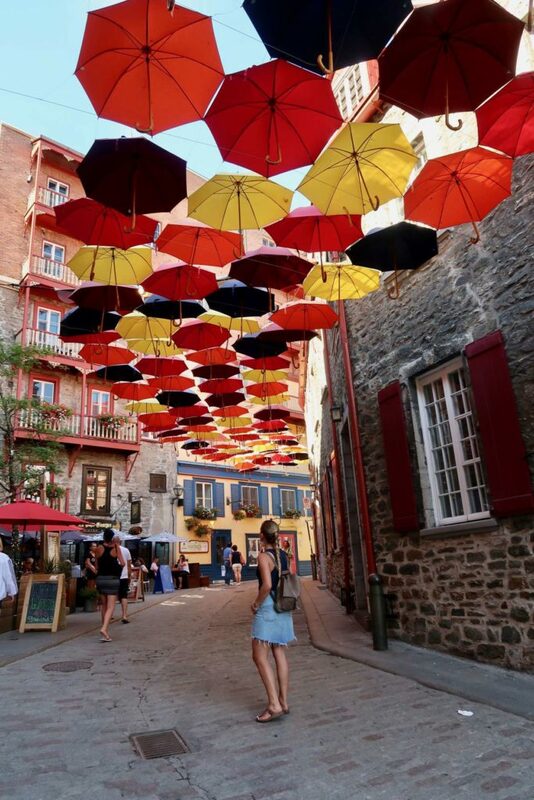 Make sure you head down Rue du Cul de Sac to see the fun umbrellas hung up in the street. If you have time, pop into Q-de-Sac for a drink (they’re one of the few bars in the city I came across to offer happy hour) which overlooks the umbrellas.